Otherwise also known as the B8018. Which might just take the driver of the black car to the pot of gold at the end of the rainbow. Or not, as the case may be. 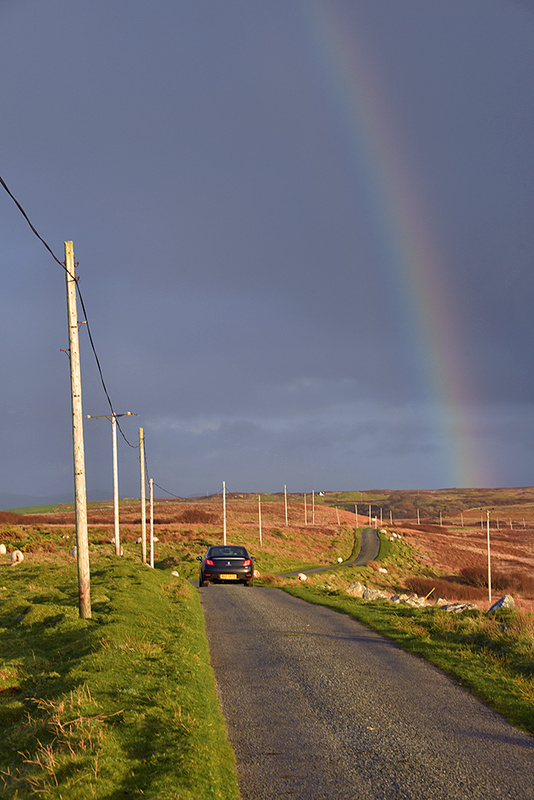 This entry was posted in Cloudy Weather, Landscape, New Post, Sunny Weather and tagged Carnduncan, Islay, Loch Gorm, rainbow, Sanaigmore by Armin Grewe. Bookmark the permalink.